Courtesy of RE/MAX Triumph Realty, Bryan Duby. Location. Location. Location. 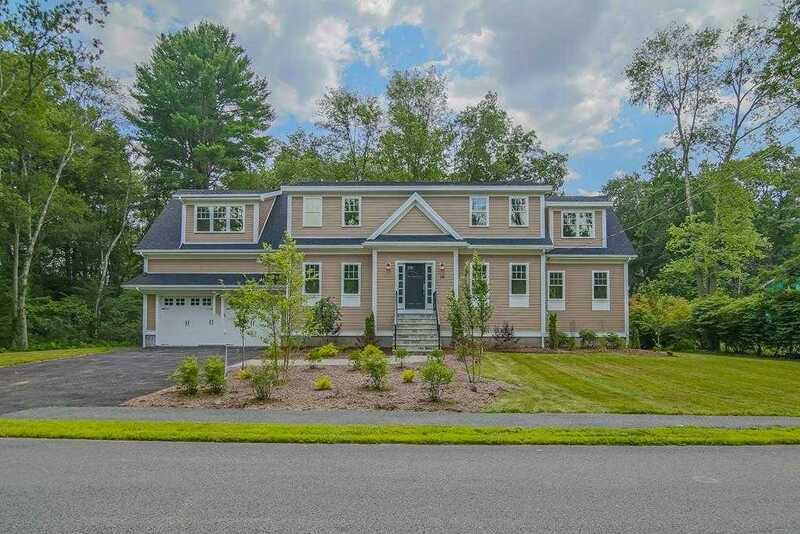 This magnificent craftsman style new construction home is located in a quiet family orientated neighborhood and is just a short walk to Bedford Center and local shops. This energy efficient home is walking distance to the Minuteman Bikeway Path leading to Alewife Station. The Interior features include an open floor plan on the first floor, hard wood flooring through out, eat-in kitchen with granite counter tops, stainless steel appliances, gas fireplace in family room, and custom built shelving in closets. Master bedroom includes huge walk-in closets, a master bathroom spa with tub and tiled shower, and double sinks with granite counter tops. Second master bedroom with tile shower and glass shower door. Exterior features include Hardie Plank Siding, paved driveway with plenty of parking, composite decking and railings on the back porch leading to back yard, and a full walk out finished basement. Open House Saturday, April 20th from 10:00 AM to 12:00 PM. Disclosures: Final Coat On Floors, Touch Up Paint, Glass Shower Doors, And Some Other Minor Items Are Still Not Completed But Will Be. Please, send me more information on this property: MLS# 72430319 – $1,269,900 – 18 Washington Street, Bedford, MA 01730. I would like to schedule a showing appointment for this property: MLS# 72430319 – $1,269,900 – 18 Washington Street, Bedford, MA 01730.